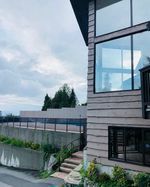 Amazing British Properties Hideaway perched high atop , exclusively build over 40 years ago to capture breathtaking views of the Greater Vancouver, with endless ocean and city views. Offering approx 5,000 sqft of living area on 3 levels. Great for entertaining guests while enjoying the poo and the indoor sauna. Expansive patios/decks.